Chinese data is strong, especially the March activity data like industrial production. When China slowed the remarks that stimulus would soon follow were not far behind, and they've been correct, and we are seeing the results. 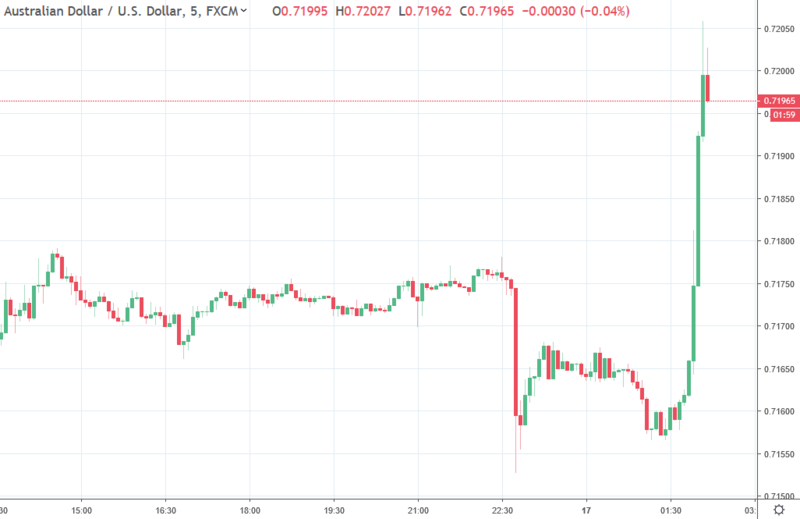 Yesterday we got the RBA being dovish, AUD dropped. Today its a China recovery story. This is the tale of the AUD right now, conflicting stories driving it more so than usual. Tomorrow we get jobs data and another fresh input. ps. The usual doubts on the veracity of China data will begin soon.